Axal has a firm commitment to sustainable development and has introduced a dedicated CSR policy that outlines its social, economic and environmental activities. 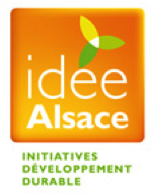 To reflect this commitment, we are a member of Idée Alsace, a local sustainable development association that supports our ongoing efforts to improve our practices. We have established a formal sustainable development policy, enabling us to measure and assess our performance and commit to concrete objectives. Axal has joined forces with engineering firm Positiv’Energies to assess its carbon footprint. 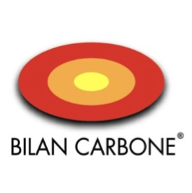 This carbon footprint assessment is conducted in line with the “Bilan Carbone” method, as approved by Ademe (the French Environment and Energy Management Agency). This method evaluates the company’s environmental impact and sets out a binding improvement action plan. To coincide with Axal’s carbon footprint assessment, the company developed a new management and continuous improvement strategy, involving the vast majority of its employees. A range of working groups have been created to enable employees to make a contribution to the programme, covering areas such as the use of packing materials, responsible driving, site preparation and the company’s image. All residual waste (i.e. those parts not recovered and sorted as explained above) is carefully sorted for disposal. Our wood supplier is PEFC-certified, guaranteeing that all our wood is tracked and comes from sustainably managed forests. All of the wood used to manufacture our crates comes from the Vosges Mountains. We ensure that all materials used to pack and protect works of art can be easily re-used. Once the transport operations are complete (i.e. the works have been moved for an exhibition, acquisition or other purpose), we collect all the packing materials used. ISO 26000 is the benchmark standard for Corporate Social Responsibility (CSR). Maximise our contribution to sustainable development.